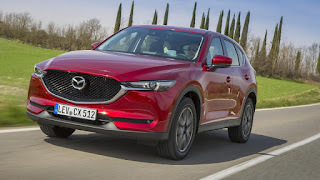 The Mazda CX-5 compact crossover SUV continues to win the hearts of critics and customers, with its sales off to a record pace since the second generation went on sale. 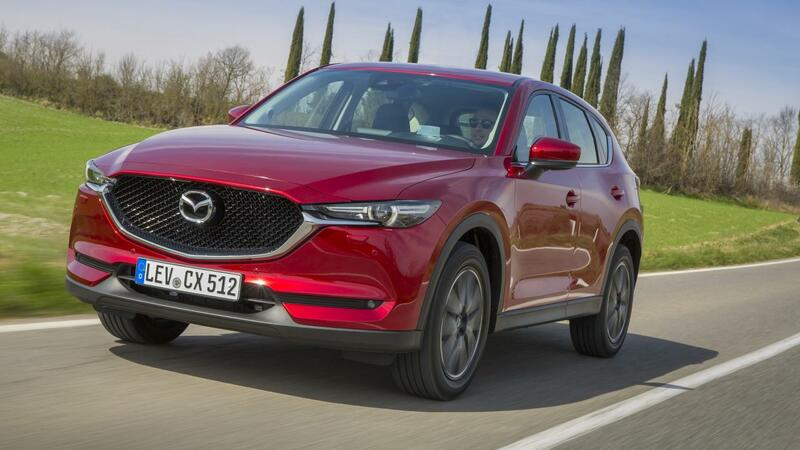 The CX-5 is Mazda's 5-passenger crossover, and the brand's best-selling vehicle in the U.S. by far. In Grand Touring trim like our tester, buyers get a power rear liftgate, navigation, heated leather seating and a moonroof, though front-drive is still standard. All-wheel drive is an available option. Mazda CX-5's SKYACTIV-G 2.5 engine has received small updates to reduce internal friction and the amount customers will spend on fuel, but no feature stands out more than its segment-exclusive cylinder-deactivation technology. The engine has the ability to imperceptible shut down the two outside cylinders at cruising speeds to maximize efficiency. It is designed to assist in improving real-world efficiency rather than simply in catalogued evaluations and comes standard on all trim levels. Mazda is the only automaker to equip a four-cylinder engine with cylinder deactivation in North America.